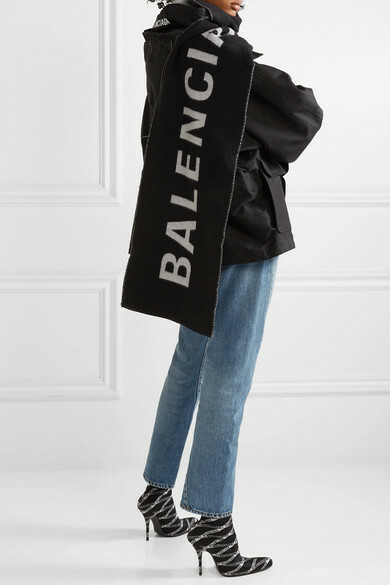 Balenciaga's oversized, street-inspired accessories are surprisingly easy to wear. 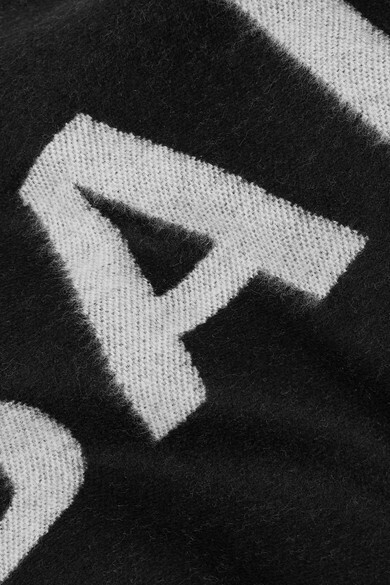 This black scarf has been crafted in Italy from soft, naturally insulating wool and intarsia-knitted with the label's moniker in equally bold lettering - drape it over your shoulder to keep it in full focus. Shown here with: Balenciaga Jeans, Balenciaga Parka, Balenciaga Sweater, Balenciaga Sock boots.